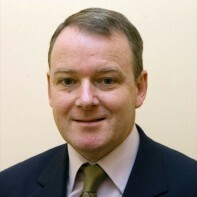 Brian Stanley is Sinn Féin's candidate for Laois-Offaly. Stanley has been active in local politics for over ten years, as a member of Portlaoise Town Council since 1999 and of Laois County Council since 2004. 2011 is Stanley's third general election campaign in Laois-Offaly following his failure to win election in both 2002 and 2007. Stanley is on the Board of Management of Portlaoise College and the Board of Portlaoise Pool and Leisure Centre. SF? Over my dead body! Crossed fingers for you Brian. You will make a distinguished TD.